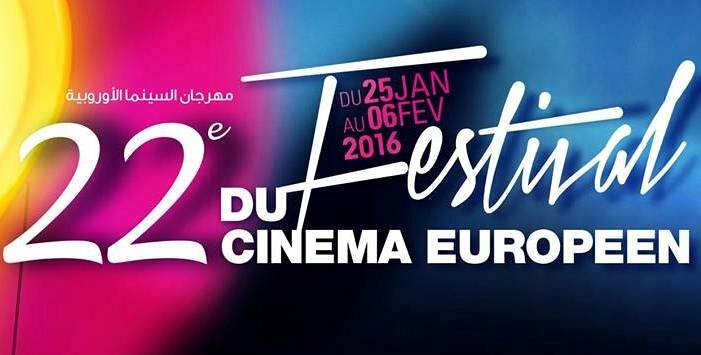 The Delegation of the European Union to Lebanon is organising in collaboration with the Embassies and Cultural Institutes of the EU Member States the 22nd European Film Festival from Monday 25 January to Saturday 6 February 2016 at Cinema Metropolis Empire Sofil. The European Film Festival will open on Monday 25 January with the Dutch film Borgman by Alex van Warmerdam, which was nominated for the Palme d'Or, 2013 Cannes Film Festival (on invitation). 33 recent long feature films from the European Union, allowing the audience to view prize-winning films screened at major international festivals, as well as the first or second productions of promising directors. 4 European comedy classics dating from 1963 to 1981. 1 feature film in tribute to "Omar Sharif'. 1 feature film on the occasion of the 400th anniversary of Shakespeare's death. 1 feature film from Switzerland, Serbia and Norway respectively, the Festival's guest countries this year. 1 Lebanese production "3000 Nights" by Mai Masri to close the Festival. 12 short films produced by students of 12 Lebanese audiovisual schools. Among the long feature films, the European Film Festival proposes 3 films for young audience. The European Film Festival also invites children from disadvantaged socio-economic backgrounds and refugees to these screenings. In order to encourage young talents, the Festival will, for the 15th consecutive year, award two prizes for Lebanese short films made by students from the Lebanese audio-visual schools. The Festival will offer the winners the opportunity to attend a leading international short film festival in Europe thanks to Goethe-Institut and l'Institut français du Liban. The jury includes cultural attachés of EU Member States' embassies and cultural institutes in Lebanon as well as Lebanese cinema critics. The Head of the Delegation of the European Union, Ambassador Christina Lassen, will award the prizes on Saturday 6 February. In a continuous effort to promote and showcase European culture to the widest possible audience throughout the country, the European Film Festival is scheduled to take placein Saida (4-5 February), Nabatieh (4-6 February), Tyre (4-6 February), Jounieh (8-12 February), Tripoli (11-13 February), Zahlé (16-18 February) and Deir el Qamar (16-19 February). A number of films will be screened in the seven cities, in collaboration with the local Institut français du Liban. Two special events will be organised by the Festival: (i) the screening of the British film Blackmail by director Alfred Hitchcock released in 1929, in its restored version, in collaboration with Metropolis Association. The screening of the film will be accompanied by live music composed and performed by the renowned Lebanese electronic artist Sary Moussa, aka Radiokvm; (ii) the screening of the documentary "Trashed" by director Candida Brady, on waste pollution, in collaboration with the Delegation of the European Union to Lebanon. The screening will be followed by a discussion on the topic of waste management in Lebanon and the European Union's efforts to help the country in effectively tackling this most pressing issue. The European Film Festival is organised with the contribution of LBCI. Tickets will be on sale for 5000 LL (2000 for students’ short films and 10000 LL for the cine-concert) from Friday 22 January 2016 at Cinema Metropolis Empire Sofil (Ashrafieh).